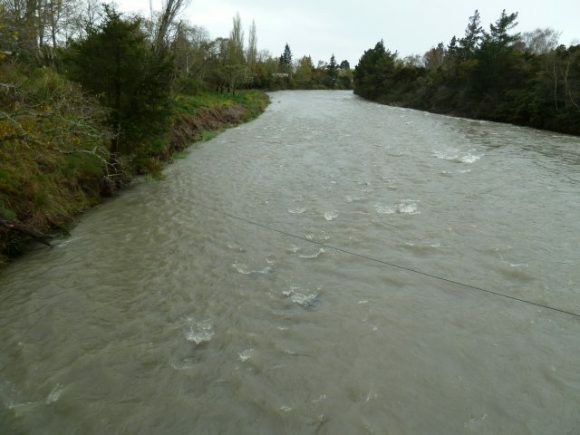 The Turangi/Tongariro Community Board has made a grant of $50,000 to the Advocates for the River Trail. The grant is a result of our submission to the Taupo District Council Annual Plan last May. Our submission was well received by Taupo District Council but the process is that the decision to grant is made by the Community Board. We are pleased with the result and thank the Taupo District Council and the Turangi/Tongariro Community Board for the grant. We have made the decision that Stage 1 is to complete a walking/cycling track that links Turangi to the Red Hut bridge alongside State Highway 1. This will complete the loop wich continues along the other side of the river back to Turangi We have set a target to have this section of the track completed, with an official opening on Easter Saturday to coincide with the Turangi’s Autumn Festival. Since last Thursday the fishing had been good through to Tuesday. Those who moved around report satisfaction with their catch. On Tuesday night the rain started and the river was in flood. The river was unfishable but fell back to near normal flow by Wednesday night when a deluge saw the biggest of the three floods over the last three months. It is doubtful that the river will be fishable tomorrow. The rainfall for the week was 85.4mm or 3.5 inches. Floods at this level are normal. The 1958 flood remains the largest recorded at 1400cms, the 2004 flood being slightly smaller. None the less the riverbed is covered as is shown in the photo of the Breakfast pool at 11.00am this morning. The photo is taken from the Birches swing bridge and normally we would see a significant beach from here. The forecast should see the river return to normal flows by the weekend and with that there should be good fishing.